It’s always curious to me when directors remake their own projects. Sometimes it seems redundant and risky, and one wonders what compels them to revisit already trodden territory. 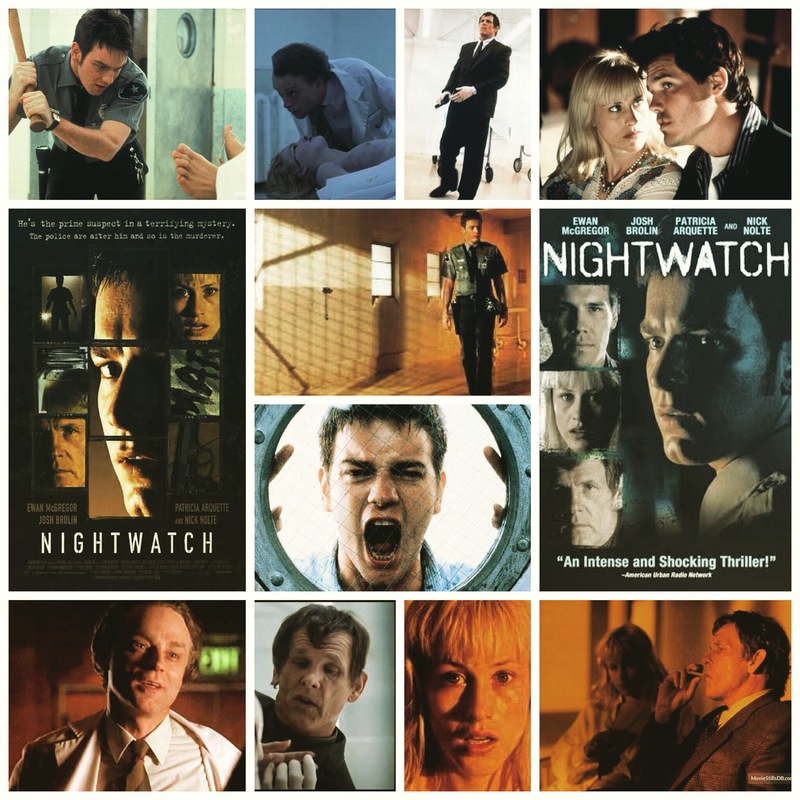 In Ole Bornedal’s case it’s a creepy murder mystery called Nightwatch, made once in his native language of Danish, and again as a slicked up Hollywood version featuring some heavy acting talent and a reworked script by none other than Steven Soderbergh. I’ve only seen the newer one, and despite some awkward, clunky moments in the narrative, it can get pretty squirmy and frightening when it wants to, especially any scene involving a young Ewan McGregor stuck alone on a morgue graveyard shift. Creepy concept, and in some scenes it’s really milked to full effect, but there’s also few really silly and unnecessary subplots, particularly one with McGregor’s daredevil buddy Josh Brolin, and his girlfriend (an underused Patrica Arquette. When the film focuses on its main horror storyline it works quite well though. There’s a killer loose in the city, one with a penchant for necrophilia, and no one wants to have the night shift at a mortuary with someone like that running about. Nick Nolte adds class and charisma to his role as a weary, grizzled police detective who’s searching for the killer. Nolte rarely sets foot in the horror/thriller side of things, but his looming presence and concrete scraper sounding voice fit into the atmosphere terrifically. There’s a couple cameos as well, one from John C. Reilly as an ill fated police officer and an amusing Brad Dourif as the morgue’s cranky duty doctor. If Borendal had trimmed the fat in places as far as subplots go, given a bit more edge to the script and overall just tweaked it more it could have been a cracking good thriller, but as is it’s only above average with a few spots that really shine.